I am so excited about my upcoming sale on Monday, June 2nd with 55 Downing Street. We have worked together to curate a fabulous array of furniture and lighting all at discounted prices. I wanted to share a sneak peek of a few of my favorite pieces from the sale. Yesterday, I received a big surprise in the mail. It was a portrait of my dog, Oliver, painted by my friend and artist, Lesli DeVito! I was so excited to receive this beautiful painting and know it will be a treasure for years to come. Leslie captured him perfectly. My photography doesn't do the painting justice. The background looks dull grey here, but it is actually aqua which is my favorite color. I don't know if you are an animal owner/lover like me, but I consider Oliver my 5th child so this is like getting a portrait of one of my children. Sneak Peek of Studio 202 - "We've Come A Long Way Baby"
It's official! Our name is on the door and we are open for business! There is still quite a bit to do at Studio 202, but Traci Zeller , my studio partner and I are are working in the studio! We have decided to wait til August for our grand opening celebration, but if you are in the need of original art, accessories, furniture, interior design help, we are here and ready to accommodate your requests! I would like to give a shout out to Talitha McGuinness of Carolina Consulting Company. 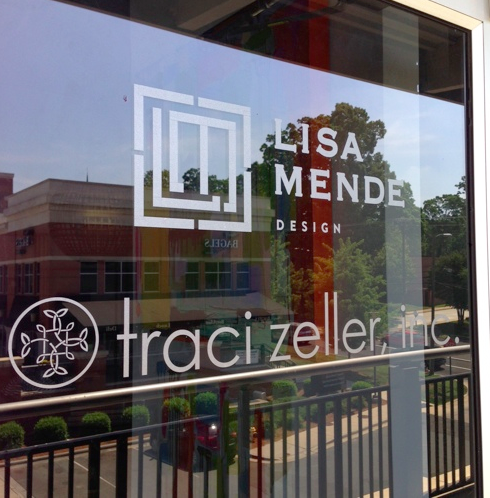 Talitha worked with Carolina Realty Company to get our door signage. Trying to get two very different logos positioned and in sync was a balancing act, but Talitha did a great job! Thank you! La Cienega windows. Since I can't post all the windows again, I decided to post some of my favorites. First up, The Sydney Harbour Paint window designed by the ladies from Cloth & Kind. This window was actually the first window I saw when I arrived in La Cienega. This window was inspired the book "Goldfinger" by Ian Fleming. To read more about the designers from Cloth & Kind or their inspiration refer back to this post. SAVE THE DATE!!!!... 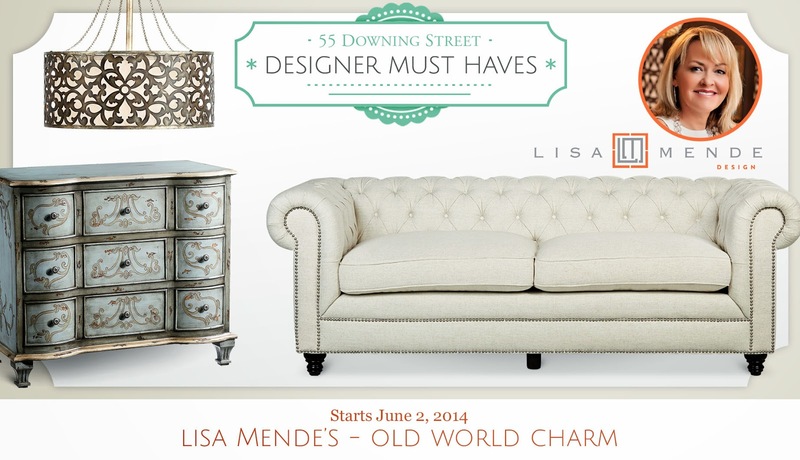 MY "OLD WORLD CHARM" 55 DOWNING STREET FLASH SALE IS COMING ON JUNE 2!!!! easier at 55 Downing Street!!! 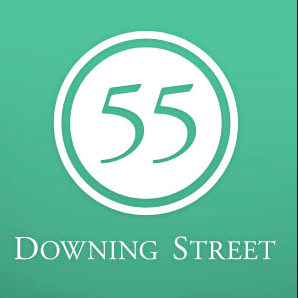 · 55 Downing Street launches Designer Must-Haves sale events, teaming up with leading designers to curate themed sales and guess who is one of the designers who has curated a sale......Me!!!!! This post outlines the third and final group of windows from the Legends of Le Cienega event. I did not share the windows in any particular order. My goal in posting all the windows was two fold. I wanted to give each designer a shoutout and my readers a chance to experience the creativity of the windows. The windows were sheer inspiration for me. When I start a project, I always look for a story, so the idea of choosing a book as a starting point for a design project was a perfect idea. I hope you have enjoyed seeing the windows I have posted so far. A couple of readers had written and ask if I have close ups the windows. I am posting tomorrow about a few of the windows I did photograph in detail. Stay tuned, if you would like to see close ups! 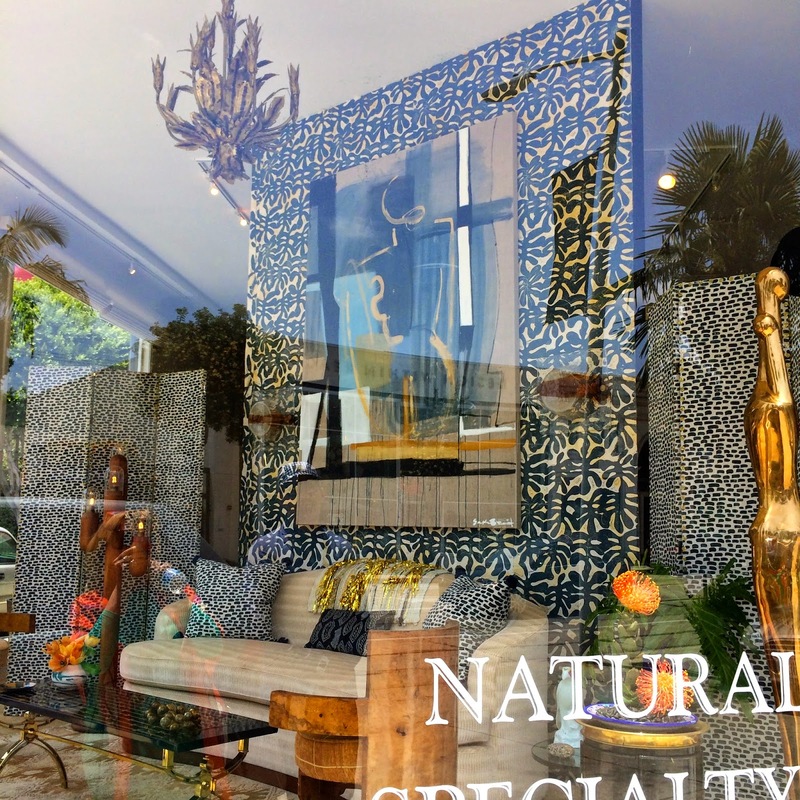 This post is the second in a series of three posts about the fabulous designer windows at the Legends of La Cienega Event last week. Yesterday I posted the first group of windows, if you missed that post click here to catch up. I enjoyed viewing the photographs of the windows along with pictures of the designers who created the window and reading about their inspiration for their designs. The photographs were taken by Grey Crawford. The photo above during the La Cienega Design Quarters Legends Event in LA last week. Celebrities, tastemakers, VIP's, editors, and various others, from the world of interior design, art, architecture and fashion, arrived by the thousands, for three days of amazing keynote speakers, panel discussions, receptions, book signings, networking and cocktail parties. There were so many noteworthy happenings, I am writing several posts which will give detailed view of what goes on during the Legends events. Hopefully, my posts will make you feel as though you attended and entice you to attend a future La Cienega Legends Event. 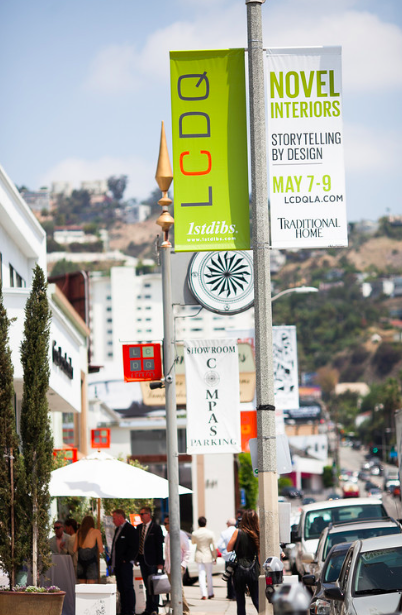 An annual highlights of the Legend's event is the transformation of LCDQ member's storefronts in the La Cienega Design District. This year fashion designer, Diane von Furstenberg and NYC designer, David Kleinberg, along with a host of talented designers, handpicked from across the country, designed amazing windows inspired by their choice of books and stories, in keeping with this year's theme, "Novel Interiors, Storytelling by Design." Legends of La Cienega 2014 Social Media Ambassadors: Julie Carlson of Remodelista, Marisa Marcantnio ofStylebeat, Paloma Contreras of La Dolce Vita, Ronda Carman of All the Best, Jason Oliver Nixon of Madcap Cottage, Stacey Bewkes ofQuintessence, Nicole Cohen of Sketch42, and me. 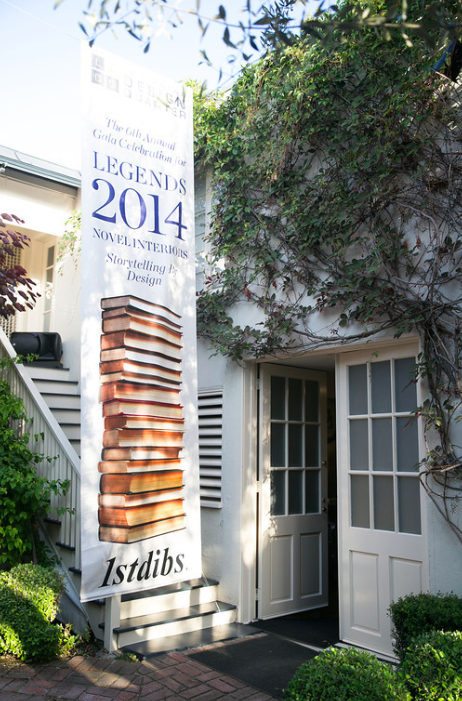 Last week, I traveled to Los Angeles as a social media ambassador for the Legends of La Cienega 2014 Event. I was so honored to be among these fabulous social media gurus, shown above, for the glamorous west coast design event. It was an amazing whirlwind week of design related activity. I have so much to share, there is no way I can write one post about the three days of design Heaven I experienced while in LA. 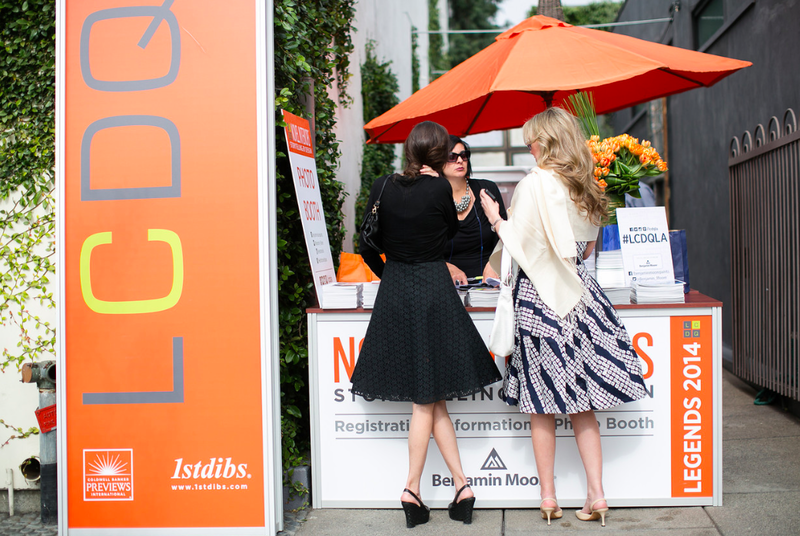 Get ready for a chain of posts, that will make you wish you were at LCDQLA. If you are a designer or in the design industry and haven't attended a Legends event, you must put it on your bucket list immediately. The who's who of the interior design world was in attendance. The Legends Event for designers is equivalent to the Oscars for actors or Sundance for filmmakers. Red carpets were rolled out on the streets of the design district and we were made to feel like celebrities. One of the most honored activities of the event is the designer decorated windows of the shops in this legendary design mecca. 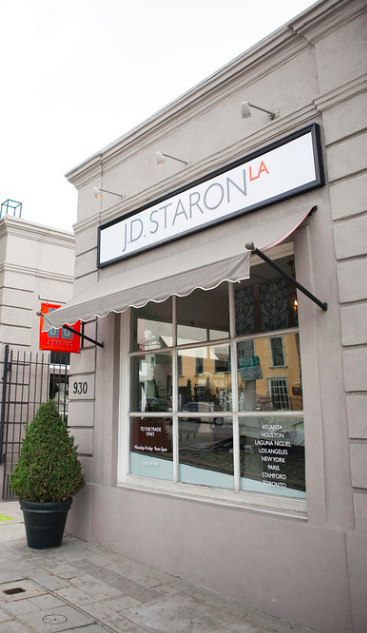 49 top designers from across the country received coveted invitations to design windows in this years event. The theme of the event was "Novel Interiors, " Story Telling by Design." The designers chose a novel as the inspiration for their window designs. It was exciting to see the creativity of each designer on display. I can't wait to share my top 10 windows, but I'm saving that for another post. 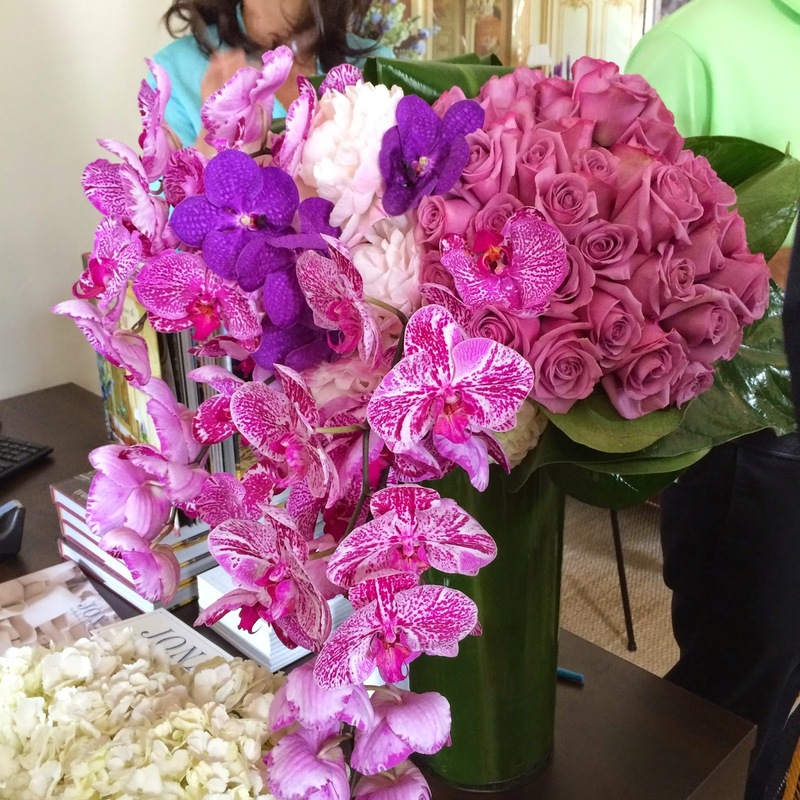 It was a fascinating week of design panels, cocktail parties, power lunches, celebrity designer spotting and more! I hope you will enjoy reading more about the events of the week. I have so much to share! I'm taking a departure from my interior design related posts today to write about something that is near and dear to my heart. I hope those who visit here for design will indulge me to share my thoughts of the day. Please forgive me if my grammar isn't proper or I make typos. I am writing this from my heart and that has to be good enough for now. Today is Mother's Day, the day we celebrate mothers every where. I don't live near my Mom, so I wasn't able to be with her today. We will celebrate when I see her next which I hope is soon. We did gather with my husband's family for a beautiful Italian lunch at my favorite local restaurant, Luce. My mother in law 's name is Alice, but my third child, Hiller christened her "NeeNee" when he was a toddler. We had a fun lunch celebrating Nee Nee. The cannoli was almost as amazing as NeeNee, who is ninety years old. My husband's brother joined us as well as his daughter from NYC and son from California. We managed to scarf up a delightful three course meal and relish the time together. Fred,Alice, Meredith, Rick, Bryant, (my husband), Hiller, Thomas (my sons), Mitch and me. This is a hard day for me. Its also the anniversary of my son's tragic accident. Five years seems like a short time to most, but for me, it seems like a lifetime since I last gazed into those big brown eyes. The last time I saw Walker face to face was at a my niece, CharlesAnna's wedding the weekend before the accident. He left the reception early, because he spilled cocktail sauce on his tux shirt. Before Walker left that night, he came to say goodbye and gave me a hug. I will never forget his last words to me. "Mom, you are too busy, you need to slow down, you work too hard". I looked into his stern eyes and stared for a minute. Quick as a flash he said "Mom, I love you, I have to go now" and left. His words echoed in my head for the next three years. Beautifully monogrammed linens become heirlooms that are handed down through generations as a constant reminder of an aristocratic heritage, as well as a hint of the style and personal taste of the original owners. Growing up in the south, I developed a special affinity for anything monogrammed, but most especially linens and silver. 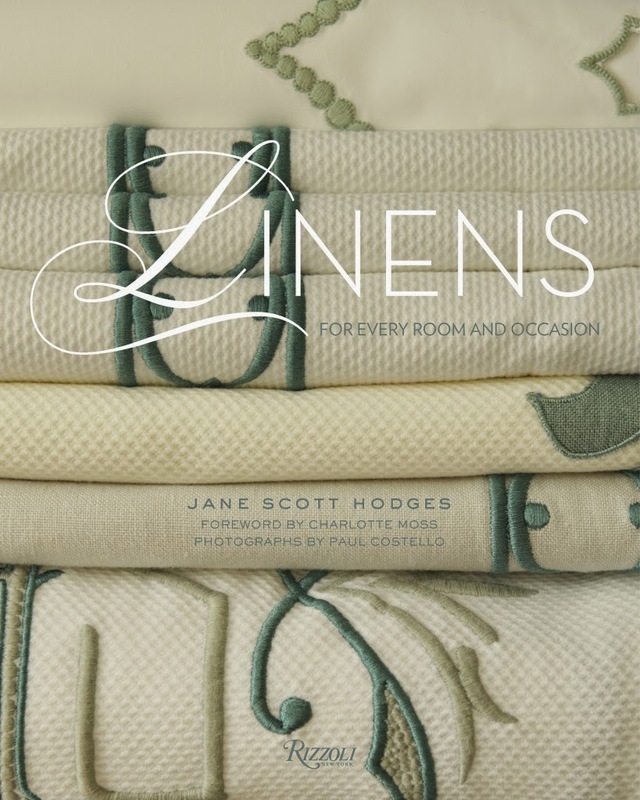 When Jane Scott Hodges announced her new company Leontine Linens in 1996, I knew it would be a hit. Jane Scott took the beautiful art of monograms and applique from the past and brought it to the interior design forefront with updated and fresh interpretations that weave a thread of the past into modern interiors. Her philosophy of incorporating fine linens into everyday life rather than saving them for the annual special occasion gave birth to another concept of living well daily. Fine linens are meant to be used and enjoyed. They add beauty and offer a custom uniqueness to every environment they grace. 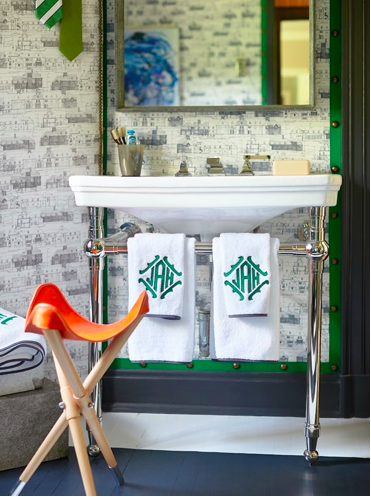 I have been reminiscing about the Gentleman's dressing room/bath area Traci Zeller and I designed last year? It was in the Adamsleigh show house in Greensboro, sponsored by the Junior League of Greensboro and Traditional Home Magazine. We used the original owner of the home, Hamp Adams for our inspiration. Hamp Adams was a man of means. His home was an example of the finest furnishings available during his time. Traci and I knew we must incorporate items with the same quality that would be worthy of things Hamp Adams would have chosen himself. I am so excited to be attending the La Cienega Design Quarters Legends Event next week. The countdown is on! Only 5 days til I board the plan for LA! This is my first time attending this 3 day celebration of design! This is the largest design event of its kind on the West Coast! 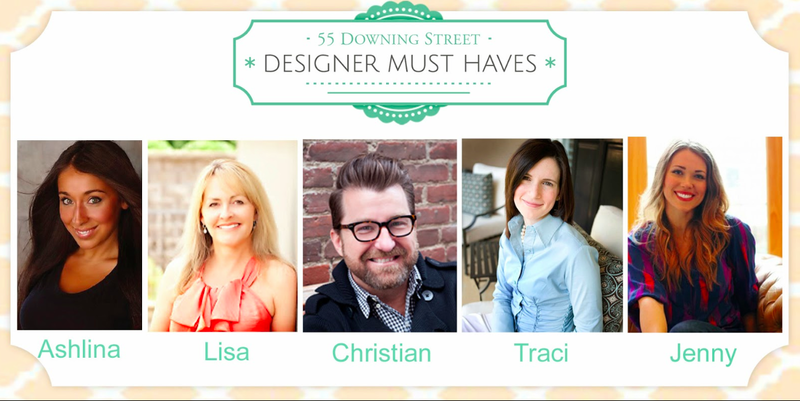 The "who's who" of the design world will be in attendance plus little ole me! I'll be rubbing elbows with the nation's top shelter magazine editors, VIPS, and Tastemakers in what is sure to be an awe inspiring event. This is the 6th year for the Legends Event and I have a feeling this will be the best one yet! This years event is dubbed "Novel Interiors, Storytelling by Design. 40+ of the countries top designers will magically transform store windows in the design district with themes inspired by famous books and novels. I've been getting sneak peeks of some of these fabulous windows in progress and l must say I am duly impressed! I can't imagine this much design goodness in one place! Who knows may be one year I'll get ask to do a window! Here's hoping, fingers crossed!